Well cared for trees help to enhance the environment and make our gardens, streets, parks and open spaces safe and appealing places to be. 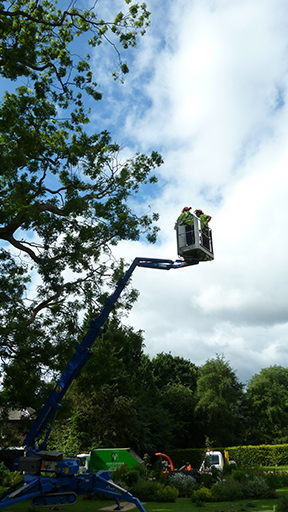 Employing tree care professionals is essential in maintaining our environment and ensuring safe and correct working procedures are carried out. 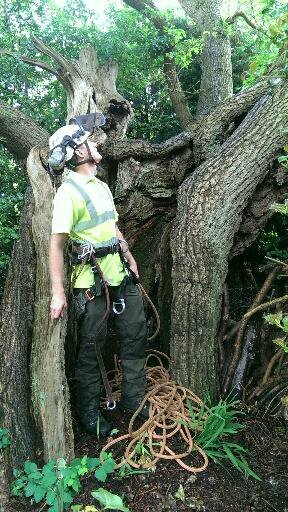 Tree work can be potentially hazardous and should only be undertaken by qualified, correctly insured professionals. We undertake all aspects of tree work including tree removal, pruning, stump removal, hedge cutting and tree planting. We work in a range of environments from small gardens with limited access, to estate work, wildlife reserves, building sites and road safety work. Our clients include private homeowners, commercial property owners, land management companies, wildlife and countryside organisations and building contractors. We regularly work in conservation areas and on trees covered by a Tree Preservation Order (TPO). Council approval is required to carry out work in conservation areas or on trees with TPOs. The paperwork required for this is available on council websites, we are happy to complete the paperwork on our clients’ behalf. All of our tree work is carried out in a safe manner using modern tree care techniques by our qualified, insured and correctly trained arborist teams. We have a wide range of equipment to complete any tree work task efficiently and with minimal disturbance. Comprehensive risk assessments are carried out before work commences to reduce any risks to an acceptable level. All waste material from tree work is recycled as woodchip, firewood or wood for furniture. Contact us today to find out more or to arrange an appointment for a free quote.